I would like to start this Post off with a sincere and hearty welcome to each of you. I have gained a few new “Friends” over the past several weeks. I sincerely hope the new “Friends” will find this Blog to be both informative and personally satisfying. I invite you to go back a few weeks and read some of the more recent Posts to get the feel for how this somehow all comes together. So many times I have said that one of my biggest regrets is that you do not yet have the opportunity to hear the news directly from Copey and you lack the advantage of having physically been to Copey. The “having been there” just adds so much richness to my experience when I learn new things each week. Of course, you can remedy this by booking a flight to San Jose, Costa Rica and hire a taxi to take you about 2 hours south of San Jose. The journey there is “almost” as wonderful as the destination. I even have a great Bed & Breakfast location to recommend. 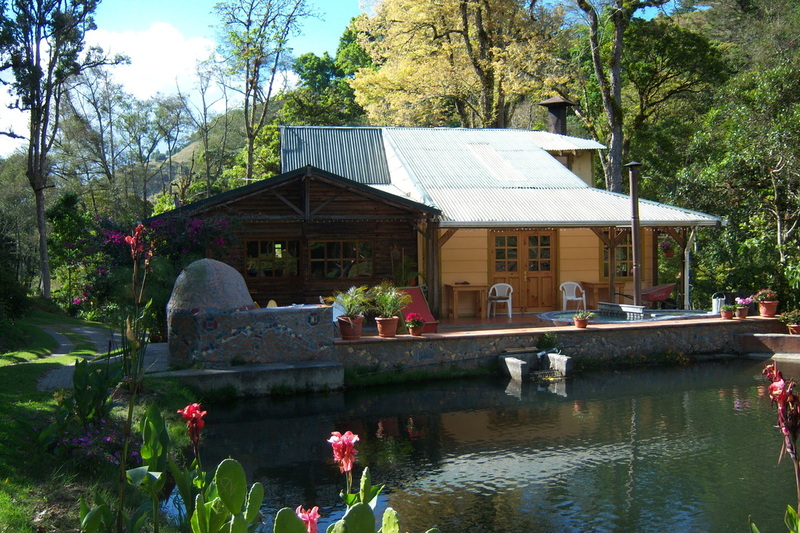 Check out www.hushvalleylodge.com. You will not find nicer people (Anne and Kevin) and a better overnight stay than at Hush Valley Lodge very near Copey. 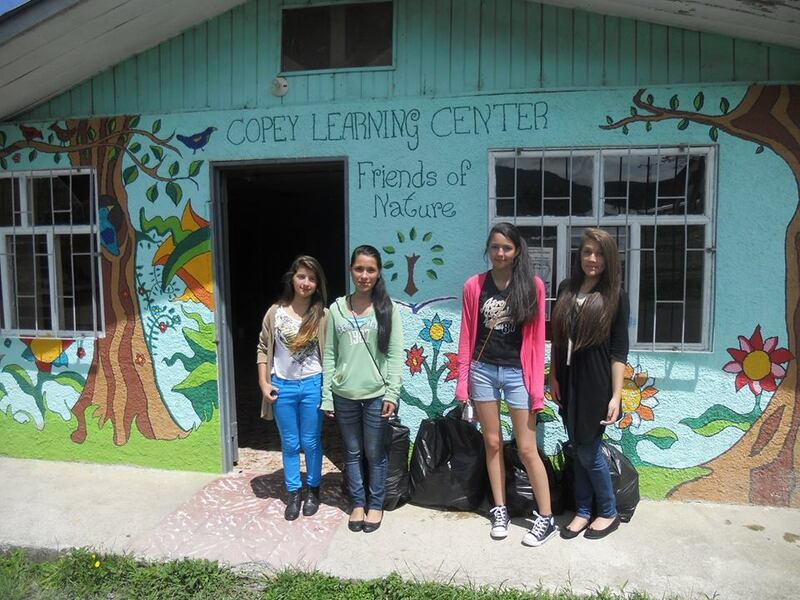 First, the Copey Learning Center students are continuing to help their environment by picking up litter around their soccer field and in the center of town. The students received help from several Copey High School students who are completing their community service requirements for graduation. Then, the Learning Center was offered the opportunity to move into a vacant building to use as a new and improved facility for the Learning Center. The facility is being donated by the town of Copey to be used exclusively by the Learning Center. The facility will need to be renovated before it is ready for use. Once completed, it will provide a very bright future for the Learning Center. Other benefits to this move include the town helping pay for the renovations needed and waiving the maintenance expenses. The town of Copey’s generosity will contribute tremendously to the long-term development, success, and future of the Learning Center. This will be the third time the Learning Center will have moved since I initially began my involvement with them in 2012. It is becoming a process of continuous improvement. We will keep you posted on the progress made towards getting the facility ready for use. Some of you commented on lasts week’s Memorial Day message and again, I love the feedback. And I am still receiving comments about the Mother’s Day Memorial Post issued three weeks ago. Is it really getting back to this “freedom” point I tried to make last week? I am very excited to live in this country where I can express myself openly and freely each week. This is a “Freedom”…paid for in full! By the way, this small Blog is likely to reach 5,000 hits in the next month or so. The very first Post was issued December 2013 with a modest 15-17 “Friends” on my mailing list. Over time, many new “Friends” have been added and some “Friends” have lost interest for a variety of reasons…just the very nature of Blogging for sure. The official mailing list today is close to 150 “Friends”. However, I get hits from all over the world from locations I do not have on my mailing list. Just this past week, the Blog was visited by viewers from Trinidad, Venezuela, Slovenia, Portugal, Qatar, and Viet Nam. Last week the list included Mongolia, Albania, Israel, and Italy in addition to the consistent visits from Brazil and Costa Rica. I am unable to explain this and I have asked several times for a personal note be sent to me…but no response. Needless to say, I appreciate one and all who care enough to spend five minutes reading a Post no matter where you are. I am Blessed! The race just ended and once again, Gordon finishes in 10th place. According to the overall standing, Gordon is in 9th place for the season. He badly needs to win one race to be assured of a spot in the final championship race in November. This is causing me a lot of gray hairs. Ooops…it would if I had hair. Wow. What great news. This is exciting. Thanks for sharing, Scrapper.